Sorry for my absence and for missing last Freebie Friday. My grandpa went into the hospital and my husband and I flew back to Indiana to be with family. He passed away last night (well, this morning) a little after midnight. 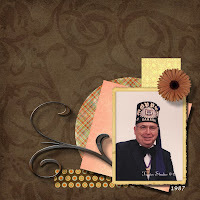 I designed a little page with a photo of him that my grandma gave me. It's such a great picture of him, and it's really how I remember him best. The last few years has been hard for him and my whole family. He's had Alzheimer's for several years now and then recently caught pneumonia. While in the hospital for the pneumonia, he had a massive stroke, about two weeks ago now, and never woke up again. He will be missed so much. Rest in peace, grandpa. We love you and will never forget you. 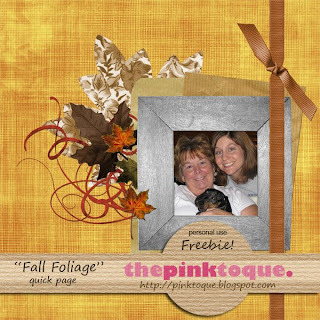 Download my Fall Foliage Quick Page HERE. ::Hugs:: So sorry to hear about your grandfather. Good luck! Sorry to read of your loss. Wishing you comfort during this time.